The UK thriller comes to DVD and VOD in June. Writer/director Thomas Lawes' Monochrome stars Jo Woodcock as a class-conscious serial killer who targets the wealthy. Lady Macbeth's Cosmo Jarvis and Game of Throne's James Cosmo also star. 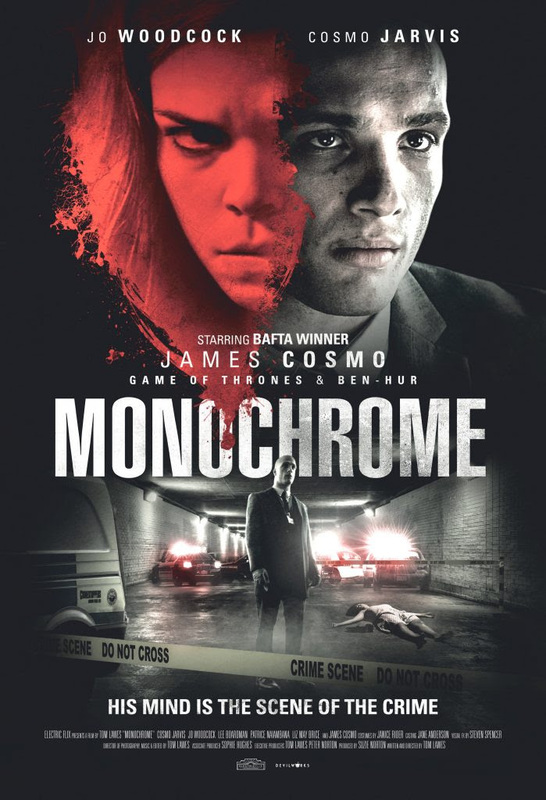 Gravitas Ventures will release Monochrome on VOD and DVD June 6th. You can check out Monochrome's trailer and two clips below.